Branch of gorgeous Royal Poinciana tree blooming on Clermont St. in Punta Gorda. 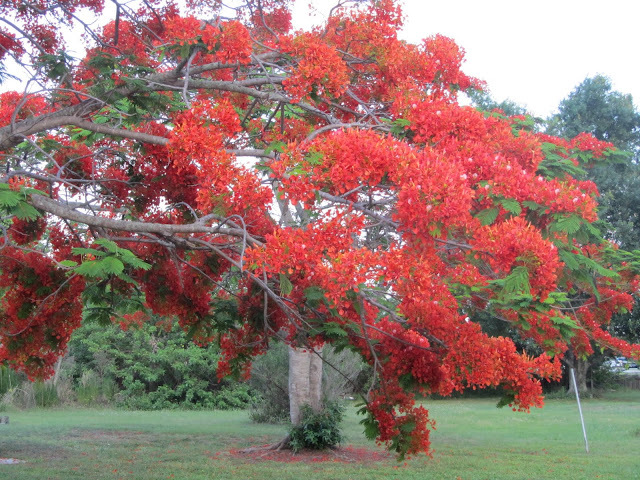 The Poinciana was named for Phillippe de Longvilliers de Poincy, the 17th century governor of Saint Christophe (Saint Kitts), who is credited with introducing the plant to the Americas. In Florida the tree typically blooms in May and June... started blooming in late April this year.